For most of us, heading out for a few drinks with friends is something that we look forward to after a long week at work. However, the average person will usually have more than one drink, add to that the cost of transport and pretty soon your night of “fun” can get very expensive very quickly. Then there’s the noise issue. Pubs and bars can be very loud which isn’t exactly what you want if you were hoping for a peaceful outing. With this in mind, wouldn’t it be great if you could recreate your favourite drinks at home for your family and friends to enjoy in a quiet and comfortable environment? Well, with the Perfect Drink, you can do just that! 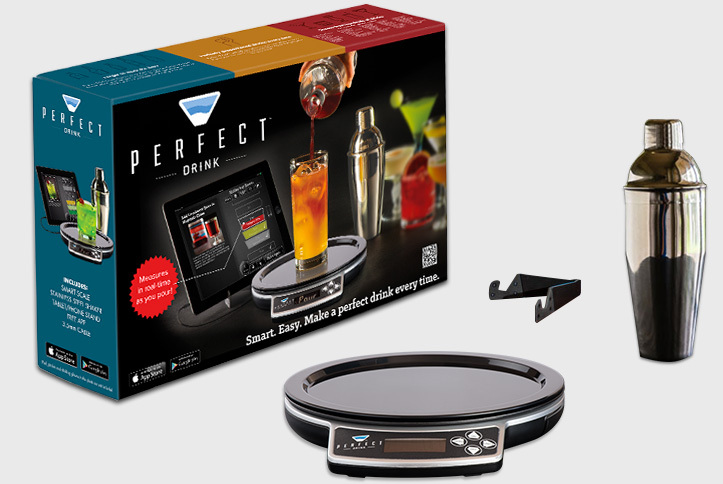 The Perfect Drink is a smart scale that digitally calculates all of the maths required to make flawless cocktails every time! The kit includes a smart scale, a stainless steel shaker and a stand for your tablet or phone. It’s widely known that precision and accuracy can make or break a cocktail which is why the Perfect Drink includes a built in timer to ensure that you stir and shake no more or no less than is necessary. Fretting over how much liquid is the correct amount? The Perfect Drink does all the measuring for you so you don’t have to. Simply pour your substance into the container and the virtual glass will tell you when to stop. The free downloadable app includes over 300 thirst-quenching recipes, and if you happen to drink through them all, you can always customise existing ones, or just add your own! If you’re feeling extra creative, you can even upload some photos! The app also has a cabinet feature which stores all of the ingredients that you have on hand, and it tells you exactly what drinks you can make using these ingredients. No need to panic either if you over pour a certain liquid. 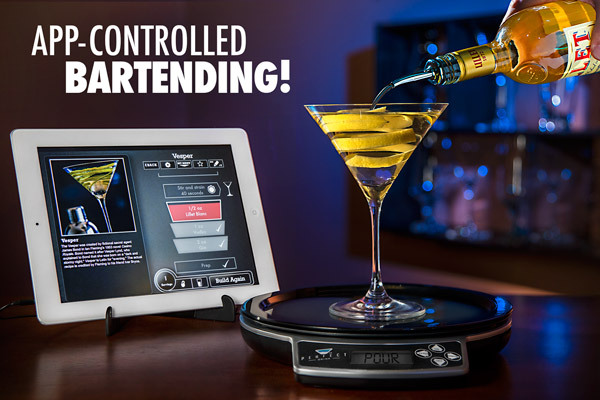 The app will recalculate the recipe to make sure that your cocktail is perfectly proportioned and tastes delicious! You can even use the app to select how many servings you want to make from a half serving right up to 9 servings. And if you’re planning on entertaining a bigger crowd, the scale is large enough to accommodate pitchers and punch bowls! Perfect Drink is priced at €59.99 and is available now on our website.